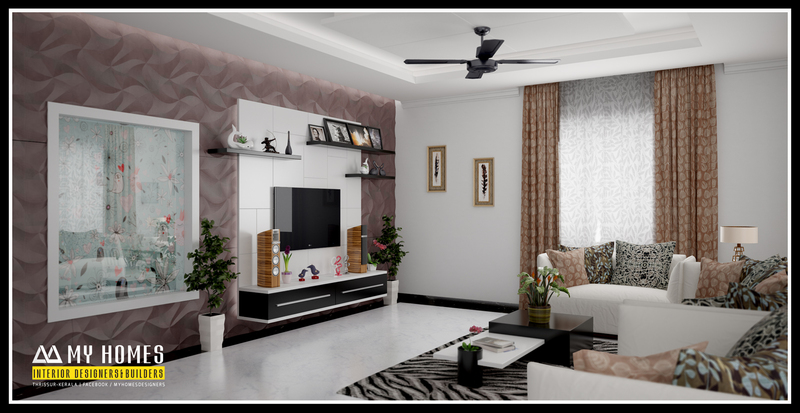 kerala home interior design give a new gateway for creating dazzling living room with low budget. Interior designing cannot avoid now it is become the vital part of the home construction. Interior designing is not process of arranging decorative thinks in the home it is way to furnish the home more delicately and fruitfully. Home interiors are helps to renovate the total outlook of the home. Living place is a social place for entertaining and relaxation sop the energy level in that place is must be high range. So living area needs to be active and energetic it positively makes impact on your life. The living place can be decorated with the gypsum, ceiling it create a magical atmosphere in the night because the lighting become significant part of the interior designing. Home interiors Kerala focused on creating trendy and affordable layout. Finding the best designers is the first steps in interior designing a good designer can perfectly capture you needs and desires so the final result is fulfill your expectations. Every job demands quality and perfection and the work is completed within adequate time period. In this living place we give the color combination is white and brown. . Using warm colors in the living place enlarge the energy in that area before paint warm colors like red, orange or other you have to obtain clarification, in the matter of there is sunlight not get directly because the warm colors can increase the temperature so if there is plenty of sunlight we paint cool colors like pink, green, blue and so on.it reduces temperature in that area. the warm colors have the ability to hide any mistake occur during the period of construction like in balancing wall but the cool colors highlight the mistake. Brown is a rich color here brown is blending with the white color so final result was outstanding. Now no is like the empty wall the wall is decorated with the photos your family photos or other photos used to hang the wall. The aquarium is fixed near the gallery. The upholstery is large in size so the size of the tee poi is reduced. Like this the living room can furnished with simple technics in low cost. a good desi9gner can find out your tastes so he can give expected result.